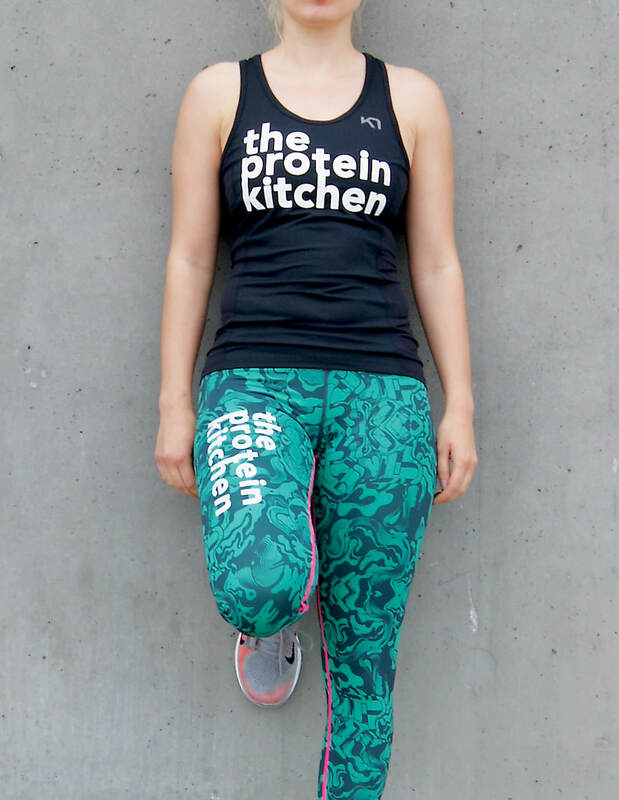 In an amazing collaboration with the always fabulous KARI TRAA we now offer you our workout collection. 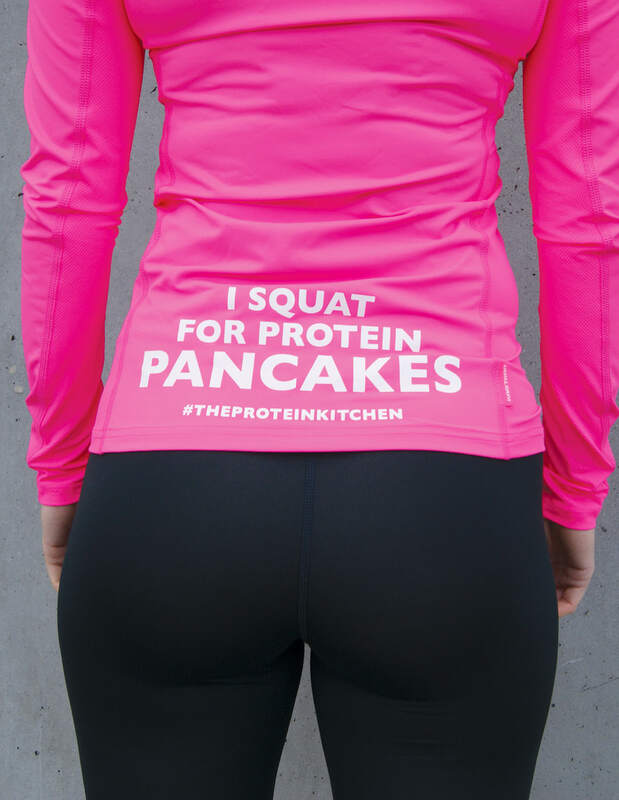 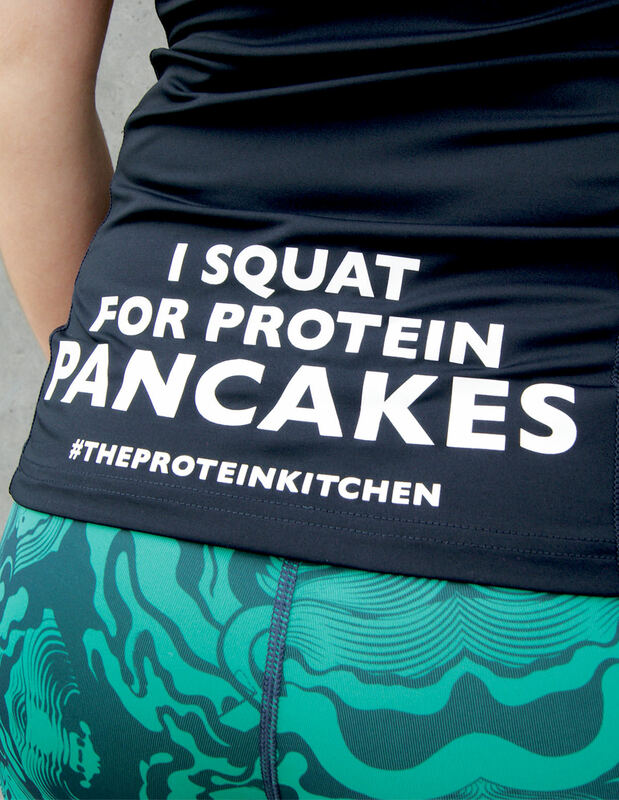 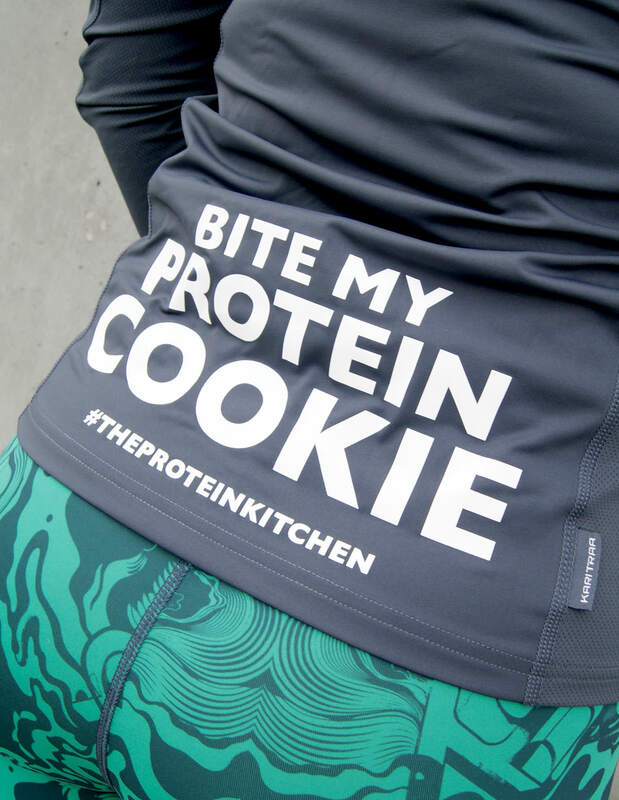 The Protein kitchen t-shirt for you to flash in the gym or when on a run. 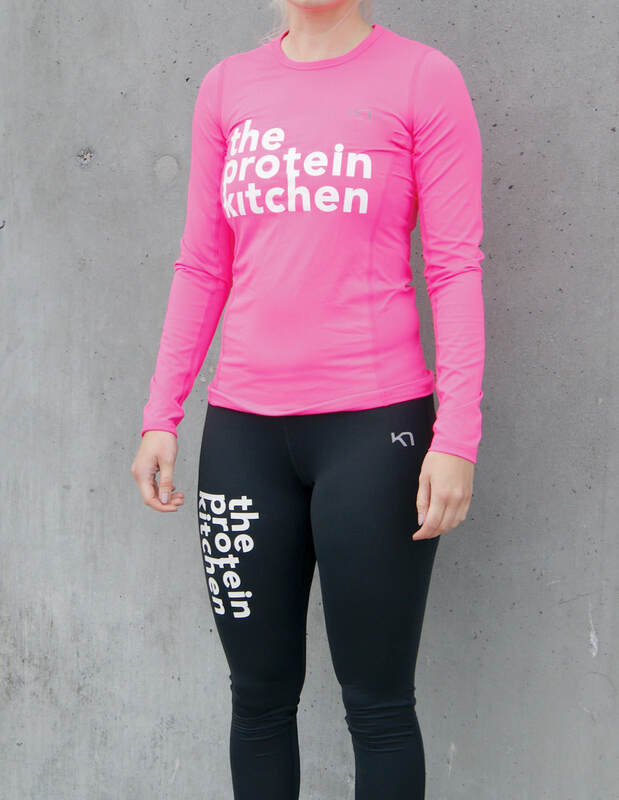 The quality is impeccable and the colors are just lovely and as soon as you put it on you WILL feel like number one – running faster than last week. 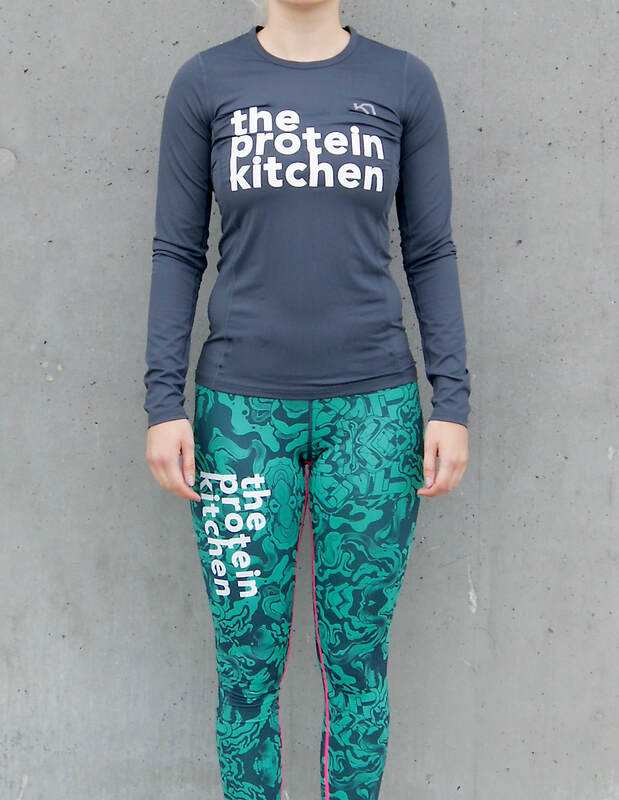 86 % polyester + 14 % elastane. 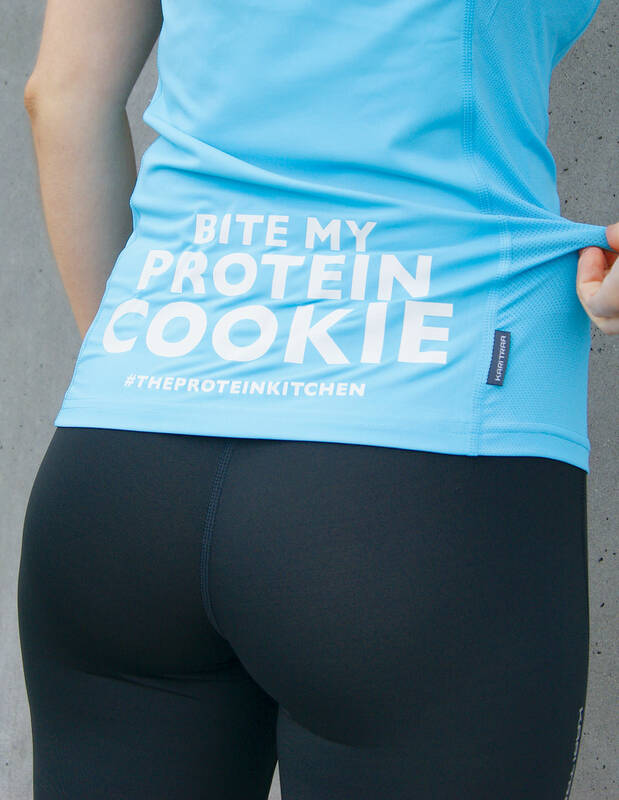 Please expect 2-4 days of delivery.